Taxi recap slows, rail plans behind…. Transport minister, Dipuo Peters, told parliamentarians during the annual budget vote debate during a transport portfolio committee meeting that she had to re-look at the failing taxi recapitalisation programme; encourage Gauteng road users to pay e-tolls by announcing incentives; tackle urgently the upgrading of roads; and consider methods to restore freight rail transport as a the primary carrier for the Durban/Gauteng corridor. The minister said that she recognised that the taxi industry played a critical role in the South African economy by providing 300,000 jobs and contributing an estimated,R40bn to the economy, she said. The need to modernise the taxi industry still remained as an urgent issue, she continued, and also there was a need to further deploy taxi drivers to other industries, including the bus rapid transit system, possibly aviation and to ports and shipping. She attributed the slow pace of the recapitalisation programme to the fact that heavily indebted taxi operators chose to remain with old taxis rather enter the process of recapitalisation. Also, the scrapping allowance had been overtaken by rising prices of new taxis. The entire system needed a priority overhaul, she said, since the safety of the South African passengers was at risk. Later it became evident during debate that the taxi recapitalisation programme had for all intents and purposes stalled, since only 2,752 vehicles had been scrapped in some eighteen months. She asked MPs to take the lead and say publicly that they were. The total DoT budget was R48.7bn. for 2014/15, rising to R53.9bn. in 2015/16. This amount included allocations to provinces, municipalities, state owned companies and agencies. Road transport received 43.7%, rail transport had 34.9% and public transport 21%, whilst civil aviation and maritime each received 0.4%. DoT was responsible for transfer of payments and conditional grants to provinces and municipalities. 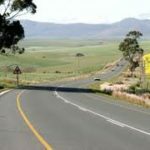 On the issue of road conditions nationally, DOT heads stated that only 10% of roads were in “poor” condition and the department indicated that it would provide R21.9bn in critical support to SANRAL who were the roads delivery agent for DoT. 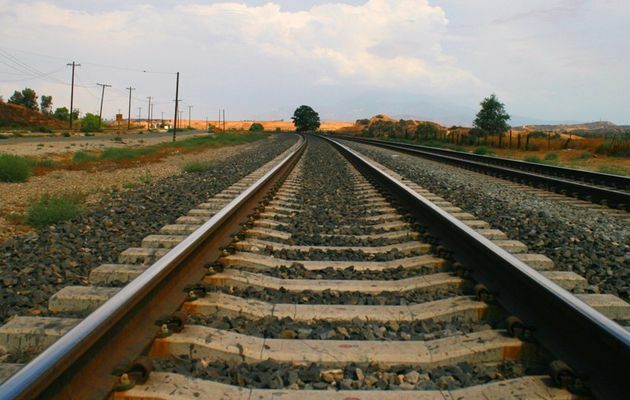 On rail issues and rail transport, Mawethu Vilana, acting DG for DoT, said passenger rail accounted for a large slice of the commuter transport used by the national work force, R15bn being allocated to the railways accordingly. He said DoT was trying to reduce the cost and to improve the services of Metrorail, as well as accelerate implementation of integrating rail services with other transport services. A White Paper would be issued on rail integration issues. 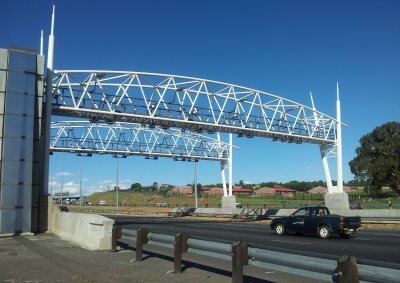 This was enlarged upon by Mathabatha Mokonyama, DG of public transport, who said the focus was on accelerating integrated transport systems “so as to improve its overall productivity” and DoT would to allocate R81m to the integration process, expected to increase to R84m in 2015/16 and again to R89m in 2016/17. Mokonyama reconfirmed that whilst rail transport played a major role, DoT had to focus on reducing the cost of public transport generally and it would also monitor the progress of the Passenger Rail Agency in its objective to restore to the country national rail passenger systems. He indicated that rail freight transport had to play a larger role in order to compete with road, particularly the Durban/Gauteng corridor and to service industry in Mpumalanga. Mokonyama again pointed to the new draft updated White Paper on Transport which was on its way as a framework for public discussion. 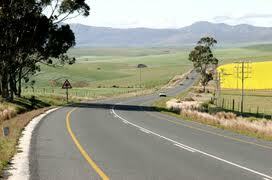 DoT would also update the Moving South Africa plan and the seven-year old rural transport strategy. This new planning called for further updated legislation. Minister Peters, in conclusion, conceded under questioning that DoT urgently needed to update scholar transport policies and re-introduce urgency to programmes to reduce road fatalities. 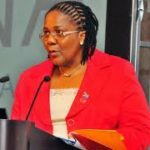 The deputy minister of transport, Sindisiwe Chikunga, replied “All our ships were sold on the eve of democracy to make sure that the current government did not participate in the international shipping industry”. This position was to be reversed, she concluded. 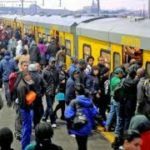 The South African bus system is on the verge of collapse, says the Southern Africa Bus Operators Association (SABOA) and, as the second largest mode of transport in SA behind only taxi transport, this fact was bad news for both commuters and those in industry and commerce whose workers use it extensively, Parliament was told. Professor Jackie Walters, of the University of Johannesburg and strategic advisor to SABOA, told the portfolio committee on transport that, by its nature, the bus industry in South Africa was partially subsidised and was one of the only countries in the world that seemed to manage on month-to-month contracts. The bus industry in the past, in order to receive it’s subsidies, worked its calculations on the basis of commuters carried but the industry had slowly switched to contracts where kilometers covered are now the basis for calculation, a preferable system in the industry. However there had been no extensions or expansion allowed in kilometers covered by subsidies for thirteen years. Prof. Walters maintained that the bus industry performed a critical role in balancing demand and the pricing system within the public transport system. The policy applicable to the commuter bus industry was founded on the White Paper on National Transport Policy of 1996, and in a number of other documents such as the Moving South Africa Strategy (MSA), the National Land Transport Transition Act of 2000 (NLTTA) as well as a Model Tender Document and the Heads of Agreement (HOA) between organised labour and the Department of Transport (DOT). He told parliamentarians that it was the Southern African Bus Operators Association (SABOA) that regulated aspects of the tendering system but the industry was under stress due to the unintended consequences of Division of Revenue Act (DORA) and the bus contracting system to the government, which was supposed to provide financial stability for industry. Whilst funds may be allocated under DORA to provinces, what happened after that was out of control of central government. The financial stability intended for the bus industry to provide for commuters was a theory but on the ground quite the opposite was happening, he maintained. This short-term horizon for the industry made longer-term investment decisions difficult and banks were reluctant to provide funding because of the uncertainty over the future of the contracts. “No industry can operate on this basis‚” Prof. Walters said. He attributed the problem again to the negative effect of DORA, which left it to provinces to make up the difference between the public transport operations grant allocated to provinces by national treasury and an agreed-upon escalation rate‚ which was linked to increases in the consumer price index. Provinces continually claimed that they did not have the money to make up the shortfall. Prof. Walters said the government had not taken into account at any stage the onerous operational cost increases that bus companies had to bear; namely 44% for labour‚ 28% for maintenance and the national escalation on fuel. There had to be risk sharing between government and the operators, he said. There were different types of contracts in the industry, he went on to explain, some which were seventeen years old and which were supposed to have been transformed after three years with competitive tendering and negotiation of contracts. He said that in all there were 39 interim contracts in operation, 66 tender contracts and 10 negotiated contracts. The contract types in operation were based on a user-pays principle regarding the subsidies. In conclusion, Prof Walters said that above all it was important to get national treasury to acknowledge the contracts and not leave things to the provinces. MPs generally agreed that in the longer term, common ticketing systems over all services in the country generally had to be introduced, similar to that in the BRT system but a short term answer also had to be found to keep the industry alive in terms of the explanations from Dr Walters. DOT was told to report back to Parliament. Transport legislation to be revised. In a written reply to a parliamentary question on the subject, the minister of transport, Ben Martins, says that his department of transport is considering setting up a single transport regulator to consider all matters relating to tariffs; the protection of the public as far as transport matters are concerned and to consider the revision of a number of regulations. He emphasised that lessons learnt from the energy and communications sectors showed that regulators should be incorporated into the transport process itself and the “the new model might entail merging several economic regulators currently operating in the transport industry into one”. According to the minister, he will now have an investigation commenced which will look at regulation of tariffs across the transport sector; regulations regarding quality of service and matters regarding the protection of the public interest. “Predictable tariff structures had to be put in place”, he said. Minister Martins reply included the fact that necessary regulatory and legislative framework would be in place by 2014 to allow for the setting up of a single transport regulator, who would then be responsible for all transport infrastructure pricing including roads, aviation, rail and maritime matters. The proposed regulator would be created via legislation and a position paper was to be drawn up by the end of the first quarter next year and draft legislation to follow. He concluded that the idea was also to provide a better climate for investors. In a document tabled before Parliament, the CEO of the SA Maritime Safety Authority (Samsa), Tsietsi Mokhele, called for a policy framework to enable the establishment of both a coastal and a blue-water merchant fleet. The meeting with Samsa followed a request by National Assembly Speaker Max Sisulu who called for more information on where South Africa stood with regard to maritime affairs internationally. “South Africa has no ships on its register and paid in 2007 about R37 billion in maritime transport services to foreign owners and operators and had approximately 12,000 vessels visiting the country’s eight commercial ports each year”, he said. Some 264 million tons are moved by sea at an estimated cost of R45bn to the country, the committee heard, and in the BRICS group South Africa stood alone with no vessels whilst Brazil operated a fleet of 172 merchant vessels, India 534, China 2044 and Russia 1891. Mokhele told parliamentarians that the country’s sea-borne cargo constituted a “significant” 3.5 percent of global sea trade. “Yet all the benefits of shipping cost overheads to export destinations in the case of South Africa accrue to the nation from which the ship transport emanates “, he said. 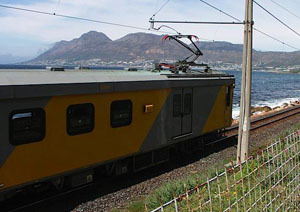 In the light of Transnet’s enormous future expenditure, PRASA, the newly-established Passenger Rail Agency of South Africa – combining South African Rail Commuter Corporation, Metrorail, Shosholoza Meyl and road transport operator Translux under a new name – recently told the parliamentary transport committee that only two-thirds of the rail passenger fleet in the form of coaches were currently in operation owing to reliability issues. Group CEO Lucky Montana advised a 20-year procurement process that would be split into two portions, the first being a ten-year contract of coach deliveries running from 2015 and a second contract commencing 2025. The R136-billion contract renewal programme would be for the design, building and shared maintenance of the rolling stock and final arrangements would be in terms of strict black economic empowerment criteria. 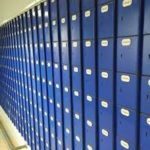 He admitted that the delivery timelines were “very tight” and he told parliamentarians that on top of this approximately 4,500 units had to be “retired” in three to five years. Montana said that a good number of the old coaches had to be scrapped when the new fleet started arriving. Some of the older coaches are aged between 47 and 52 and with the rail passenger crisis building he told parliamentarians, “We have to move with speed”. He said that some local sub-Sahara African rail operators had indicated that they would be interested in acquiring a number of working units from PRASA. As far as indigenisation was concerned, PRASA said the localisation target on the new rolling stock would be 65% and possibly in some cases reaching 80%. Local components could include the car body shell, door system, axles, wheels, lighting, interior cladding, bogie frame, windows and seats. The first train is to be delivered to PRASA in 2015 and the new fleet in the first ten-year contract would be split between Gauteng, which would receive 2 400 coaches, the Western Cape 1 800, eThekwini 936 and the Eastern Cape 228. The director general of the energy department, Nelisiwe Magubane, has now briefed Parliament on the impending tabling of both the National Energy Regulator Amendment Bill and the Electricity Regulation Amendment Bill which, according Magubane will beef up NERSA giving it the regulatory power to control “the entire energy space”. She told the parliamentary committee on energy that that an independent appeal board headed up by a judge would replace the existing tribunal so that NERSA did not have to play both judge and jury in regulatory matters, where a decision on tariffs or regulatory procedures were involved. Appeals would therefore conducted in a fairer environment. Both bills have been the subject of public comment and it remains to be seen what the final Bills tabled before Parliament look like. On electricity, much involves independent power producers (IPPs) and may sort out the anomalies that exist in the procurement of land for power line erection and the difficult liaison with the department of public works over such issues. The department of energy said that the energy sector had to be regulated more effectively “given the current need that has now arisen to increase private sector participation”. Present at the briefing were officials of NERSA who also claimed, as did the department, that both new Bills would enable them to have the ability to work in a less fragmented environment with not so many departments having regulatory control over different issues. NERSA at no stage discussed matters relating to fuel pricing and neither did the department. Further meetings are to follow. He also indicated in his statement that fronting was a practice that had to be eliminated and penalties for non-compliance as far as regulations were concerned would be introduced in the legislation, which included jail sentences. How this would relate to the Liquid Fuels Charter is not clear. . In terms of the draft BBBEE Act Amendment Bill, the cabinet statement set out the proposed amendments, some of which included amendments including the penalties mentioned for non-compliance in terms of enterprise development, or lack of it, fronting and procurement elements not complied with in terms of the BBBEE scorecard. Definitions of what is termed as fronting are given in order that legislation may apply and the appropriate regulations enforced. On this issue, much was passed on by minister of energy, Dipuo Peters from the energy conference in November 2011. Minister Davies said that more emphasis was to be placed on enterprise development and procurement within key sectors, in terms of both the IPAP and new growth path plans. Incentives were to be created for broad based black ownership and the use of such tools as employee share ownership, co-operatives and community ownership. Relevance to the Employment Equity Act was an important factor, Minister Davies said, as was aligning skills requirements to current and new skills development strategies involved in the new growth path and elsewhere. Targets for this, for procurement matters and enterprise development had to be “adjusted” accordingly, he said. Meanwhile, Minister Dipuo Peters also welcomed the BBBEE legislation as contributing towards the objectives of the liquid fuels charter. Challenges facing her department were irregular monitoring of compliance, pockets of poor performance within the value chain and lack of financially sound BEE deals, she said late last year. She also added that her department was looking at ways to strengthen liquid fuels strategic stocks to cover any emergencies that might arise. She advised the media in November the compliance report on the liquid fuels charter had been submitted to the cabinet for approval. At the time, she expressed her view that current shareholding was not spread uniformly across the value chain and total assets spread in line with demographics, noting that whilst technical issues such as access to storage facilities was a significant problem. In general, she complained that the participation of women, procurement and enterprise development lagged behind targets. She also added that her department was looking at ways to strengthen liquid fuels strategic stocks to cover any emergencies that might arise. Her recent comments on the new BBBEE legislation were made in the light of Minister Davies announcement. Reference to both BBBEE legislation and the Liquid Fuels Charter is expected to come up in President Zuma’s address to the nation. At an initial meeting of the parliamentary transport meeting, mention was made of a new Transport Planning and Implementation Bill that was in draft form to act as a regulatory backdrop for the proposed shake up in the national transport as it applies to all three tiers of government. Government planners advised they were undertaking an overview of current transportation systems, an analysis of different scenarios for land based transportation and an implementation plan. The committee heard that existing transport legislation had to be totally overhauled because much in the way of regulatory control was being handled badly or not at all at local government level and that even at national level some aspects of transport law were not being implemented at all. The committee was told that in terms of the Constitution, it was imperative that all spheres of government co-coordinate and co-operate on matters of government policy and execution and, consequently, new, all embracing legislation that applied to all levels of government as far as road transport was concerned, was to be introduced shortly. The Minister of Trade and Industry has released the Special Economic Zones (SEZ) Bill for public comment. The SEZ Bill is expected to be tabled in Parliament later this year and Minister of trade and Industry Rob Davies says that in his view it is one of the most important developments of 2012 in order to achieve the objectives of the country’s economic planning programme. Whilst claiming, as did the minister, that “the country now has a really effective plan to offer the investment community”, Lionel October, DTI’s director general, admitted the exact amount of finance at his department’s disposal to fund new special economic zones (SEZs) in South Africa still remains to be negotiated, although the matter has been agreed to in principle at cabinet level. October said the main problem in the past was that the present IDZs were not driven by incentives. Only one development had taken place at Richards Bay, for example, he noted. “Although any business plan must make economic sense as a first priority, we have learnt that any growth plan, as in BRICs countries, must be attached to incentives. “In the past, we were de-incentivising many potential areas just because they did not have a port, for example”. In the new proposals, said October, the country would move away from very long plans and do what the Chinese have done successfully and focus on five-year plans. He added that the competitive factor, where IDZs competed with each other, had to be stopped and that a “joint marketing proposal approach” had to be adopted for the whole country. “This was the purpose of dividing the country into SEZs”, he said, and to build a national team to market the country’s proposals. In terms of the new Bill, there were to be different categories of SEZs, such as industrial development zones, industrial parks or estates, science and technology parks, spatial development corridors and sector development zones. October quoted successful examples of SEZs in Shanghai, Oman and Malaysia. Problems had been encountered, October said, with the previous concept of the smaller IDZs over the past few years and the idea had not worked particularly well. Main problems had been that previously designated areas favoured those with international airport or seaports and penalized other areas for not having such. 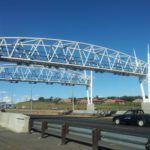 The DTI’s contribution into the four areas of Richards Bay, East London, Coega and OR Tambo and Saldanha for forty projects had been 5.3bn or an approximate 5.7% return. Lionel October emphasised that the IDZ programme had not been incentive driven. There had also been too much emphasis on infrastructure, whilst other issues such as logistics, marketing and skills supply had been on the back-burner. The IDZ programme had “lacked a unique value proposition”, he said, and too many messages were going out to the investment community. There needed to be a single strategy and message from one place, said October. He noted that now, with the promise from Treasury in October’s medium term budget that R10bn would be put aside for investment purposes, the new plan, supported by legislation, had become an exciting prospect and the new national regulatory environment would not only give the host zone but the whole region total involvement and the added ability to put in place longer term planning for an entire area. The new Bill also provided for five parties to be involved in the process; namely, the DTI, Treasury, all three tiers of government, Eskom and Transnet, all parties being involved on a SEZ board set up by the new Bill. Other important parastatals could be added if relevant, October said. MPs commented that no such plan would work unless government parastatals were on board to help plan infrastructure needed. When asked by an ANC MP why labour was not represented in the planning structures, Lionel October responded frankly by saying that such a planning process could not be subjected to the issue of collective labour bargaining at that stage of the investment process, although the supply of skilled labour was a major issue. He detailed the financing instruments as a fund to be established by the minister of trade and industry in consultation with the ministry of finance and development finance institutions (DFIs), which would play a major role in the development of a particular SEZ, liaising on marketing, capacity development, skills strategies, infrastructure, business incubation, environmental protection, technology and R&D and, finally, quality and productivity. He would not talk on the subject of specific incentive numbers, saying that incentives had always been granted in the past but that in the future any incentives and incentive programmes would be the subject of far more focus with proper funding to make more things possible.